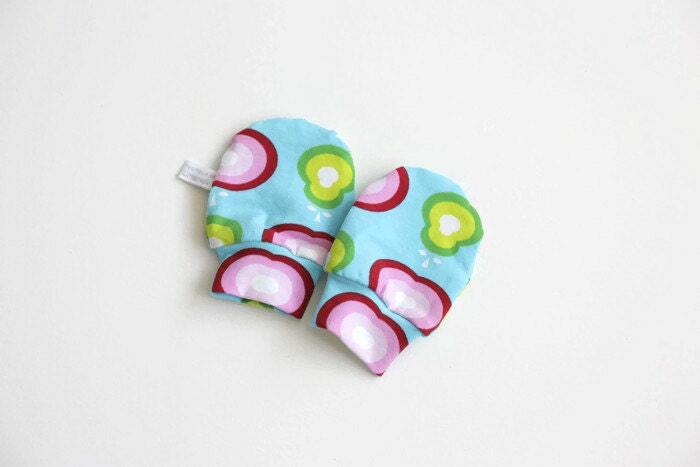 These lovely, soft aqua baby mittens with retro apples and pears will keep your little ones from accidentally scratching themselves. Each pair of these hand covers is made from 100% certified organic cotton (Lillestoff). The stretchy cuffs keep them comfortably in place while being much gentler than traditional elastic bands.